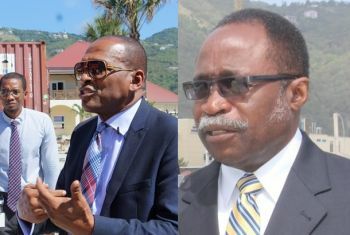 However, when the Virgin Islands Party (VIP) left office in 2011 it had signed a water purchase agreement with Biwater that if implemented would have adequately addressed these issues. But because the National Democratic Party (NDP) came to power in 2011 promising voters to scrap the deal, they deliberately, according to the Opposition VIP, frustrated the process, which caused many residents to be without water for months with no end in sight. Some five years later, many of the same water hardships still exist. Minister for Communications and Works, Hon Mark H. Vanterpool (R4) blamed the BVI Electricity Corporation (BVIEC) for the long water shortage. The Works Minister was at the time answering questions posed to him at the Ninth Sitting of the First Session of the Third House of Assembly on June 23, 2016 by the Opposition Leader, Hon Julian Fraser RA (R3), on the continuous recent water woes. The Communications and Works Minister, who has been unable to address the water problems since he was accused of frustrating the Biwater project, promised to provide surge protectors and backup generators to the main pumps, however, he did not state when or the cost. No water on parts of Virgin Gorda for months! 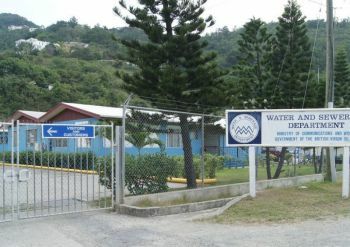 Another vexing matter is that the Water and Sewerage Department is crying out for resources, according to many of the staff, including the sister islands. Hon Vanterpool promised that by the end of June 2016, which is Thursday, the Water and Sewerage will have three new vehicles and another three by the end of July. However, a senior officer from the Department speaking on condition of anonymity told our newsroom, no “new vehicles” are expected Thursday June 30, 2016 at the Department, as it seems like yet another broken promise by Minister Vanterpool. Is this guy an a $$ hole??? Residents have been battle the water problems for years. And now he wants us to blame electricity? ? I will pass on his kool-aid with a little bugal...he can drink till his pants belt" buss off"
WE ALREADY HAVE THE PIER PARK, PLAN OF EXPANDING THE AIRPORT IS ON THE WAY, BUT THE GOVERNMENT SEEMS TO HAVE NO WILL POWER TO SOLVE THE PROBLEM OF WATER WHICH IS ONE OF OUR BASIC COMMODITIES. COMMON SENSE, WE NEED WATER THAN ANYTHING ELSE! FIX THE ELECTRIC PROBLEM TOO. WE WANT SOMETHINGS SO GRAND FOR THE BVI, BUT YET, THE MOST OBVIOUS NEEDS IN THE BVI COULD BE PRIORITISED AND SOLVED! Instead of working on roads again...they r not so bad right now.....put that $ into fixing water and power issues! Upgrade!!! At the end of the day, it's the fault of the lackluster leadership. Doesn't BVIEC also fall under his Ministry? We blame you Mark. You're the most incompetent, under-qualified the ministry has ever had. These guys are so busy with the Ports project that they have no time to deal with such mundane matters as a "few" people without water. INFRASTRUCTURE is the main point of having a government. Do your job Mr. Minister and stop passing the buck. Don't blame the Electricity Corporation when it is YOUR JOB to see to it that people have water. FIX THE PROBLEMS and get YOUR job done. All other things on your very busy agenda MUST take a back seat to basic human needs. Get water to the people dem. I don't care if you get it there by donkey, or carry barrels in your own (publicly paid for vehicle) - just get it there. Minister, what kind of weed you smoked that made you get up and say this? VIslanders have been complaining about the water situation for years, more so in the past months. The power wasn't even out for six hours so how can that be the problem? What kind of fools do you and your posse take the people of the Virgin Islands for? Go in there and take a bullet if you must for the good of the BVI. Cheers! Why don't the water company have back up generators so when the power fails at BVIEC there will still have water for the people. Strong leaders take responsibilty and action on functions under their purview. They do not blame subordinates for failure. They coach and counsel poor performers. And if there are no improvements, ways are parted, Is not Water & Sewage and BVIEC under the MCW? This is like the left hand blaming the right hand..For decades, the BVIEC has been struggling with black outs, brown outs, poor voltage regulation.....etc. It is high time for some stability in generating, transmitting and distributing electricity. If the current crew cannot improve stability and reliability, it is time to get a crew that can. Why don't water and Sewage have spare parts for critical long lead time items? They should have a low limit on critical long lead time items. Further, there should be back up generators at these pump sites. When is the BVI going to take care of providing basic services? Basic services should have gone along with growth and development. All of our basic services are a mess: water, sewer, roads, electricity, ports, telecommunications, education, health, public safety......etc. Address basic services before we embark on big ambitious projects.